Kick off the driving season with the White Mountain and Boston BMW CCA Chapters! Our always popular season-opening Cabin Fever High Performance Driving School at New Hampshire Motor Speedway is Saturday April 20th. These High Performance Driving Schools are suitable for all skills levels from Novice to Expert. We welcome all makes of cars at our schools -- you don't have to drive a BMW to enjoy our events. This school is an excellent way for you to improve your driving skills and have fun too! Student registrations are being limited at this event to provide more track time for everyone and balance instructor work loads. To this end, the event will be subject to a early registration discount for a short time only. The school combines classroom and on-track instruction in a closely supervised and controlled environment. Students are divided into "run groups" according to their prior experience and evaluations from previous schools. In between the track sessions, students get classroom instruction in a lively environment appropriate for their skill level. There may also be opportunities to gain experience by riding as passengers with their instructors. The event runs rain or shine. Interested in attending or have other registration questions? Please continue through to the next page for more information about the event and requirements. What is a High Performance Driving School? The purpose of a driving school is quite simple: to improve your driving skills. We conduct the school on a racetrack under the close supervision of experienced and trained instructors. You will learn how to handle and control your vehicle at speeds not normally attained on public roads. This will help to prepare you for emergencies in normal driving. It will also allow you to explore your capabilities as a driver and those of your vehicle in a controlled environment. At no time will you be pushed or encouraged to go any faster than is comfortable. All participants will be organized into run groups in accordance with experience, skill, and type of vehicle. What you learn on the track depends on your driving skill. Beginners are taught driving style (smoothness, consistency, the ability to read the track), more experienced participants continue to work on consistency, while developing new skills such as trail braking, and threshold braking. 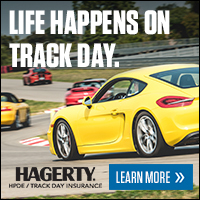 Every time you are on the track, you will have an experienced instructor in the passenger seat. For the most experienced drivers, you can be “signed off” and drive solo when you have proven to your instructor and the Chief Instructor that you understand the basics of high speed driving, you can consistently drive the correct line, and you show proper etiquette on track. Maturity, good judgment, skill and significant experience will lead to being signed off for solo driving. Even if you are a solo student, you are still highly encouraged to learn new skills from your instructor. In fact, National BMW Club rules require an instructor be in-car for at least part of the event for all students. Your day is divided between driving on the track, classroom sessions, or free time. Yes, this is a school, and there is mandatory classroom time. All participants are required to attend classroom sessions throughout the day to learn vehicle dynamics and driving techniques. Failure to attend will result in loss of driving privileges. In the classroom, you learn high speed driving theory. You learn everything from 'why low-profile tires are better', to what is the difference between an early and late apex. Car physics, such as what is really happening when I brake or why my car understeers or oversteers is also discussed. Each classroom normally has a question and answer session. What is a Driving School NOT? Though you are on a racetrack, with 20-30 other drivers of similar driving skills, it is not a race. Passing in corners is not allowed, and you are not expected to shift at redline, or go screaming through each corner with the tires squealing. Safety of the event is of the utmost importance. Driver conduct will be diligently monitored throughout the day by the staff, instructors, and corner workers. Infractions of the rules will not be tolerated, and will likely result in dismissal from the school. Experienced Students: Registration fee for the day is $280. 1st Timer Novice Students (have never previously attended an on-track driving school) are welcome to attend this event at the special flat rate of $225 (early bird discounts do not apply to novices). EARLY BIRD: Discount $30. Early Bird Registration Period ends February 28th. LATE: Late registration add on fee is $50 and begins March 22nd. Student registrations are being limited at this event to provide more track time for everyone. As an added encouragement to attend our already exciting and rewarding Driving Schools, we will offer a discounted price to First Time students. In order to participate in the discount program the student must have zero track experience and of course be 18 years old. (Note - Track experience does not include autocross, ADSS school, carting, driving simulators or video games). The driver will be placed in our novice run group and will be assigned a mentor to help acclimate them to the event. All drivers with no previous Driving School experience are strongly advised to attend an Advanced Driving Skills School run by the Boston or White Mountain Chapters as the schedule allows. ADSS school dates are listed in the calendar on the White Mountain or the Boston Chapter websites. These are all held in the rear parking lot at NHMS. Please note that the ADSS is designed to help you better understand your vehicle before coming to the track. There is an additional charge for attending the ADSS. To promote continuous advanced skill development for experienced, independent drivers, ISG encourages students to identify the areas in which they want to improve, then allows them to create a personalized curriculum for achieving their goals. At each event, every ISG student is assigned a coach who will work with them to achieve their goals. ISG drivers are often offered additional solo track sessions and the opportunity to drive in the instructors’ run group. ISG Qualification - Soloed drivers with substantial experience and the skills to drive a consistent line, at an advanced run-group pace, on a variety of race tracks are eligible for consideration. After passing a thorough checkout drive with an ISG instructor, which emphasizes awareness, safety, consistency, and pace, the ISG candidate is admitted into the group. ISG on Track, Classroom and Exercises - On the racetrack, ISG drivers spend working sessions with their assigned coach to execute their personalized plan. Classroom sessions comprise lively discussions of driving lines, corner approaches, speeds, data analysis, and a wide range of additional topics. Specialized exercises are offered to improve situational awareness, increase comfort levels in close-quarters driving, and practice passing. ISG, Serious Car Control - For advanced car control methods, essential for the final reductions in lap times, ISG students are invited to one or two Advanced Car Control Clinics (AC3) each year at Lime Rock Park. An AC3 event begins with a discussion of tire dynamics and grip, balance, weight transfer, and an introduction to suspension concepts that alter the understeer/oversteer characteristics of the car. Then, on the handling course and skid pad, drivers learn the methods for inducing controlled oversteer with the throttle and brake, while learning to correct and prevent understeer. Due to the limited number of student slots available at this driving event, we expect to receive more registrations than we can admit. Applications will be admitted from a waitlist on a first come, first serve basis. For questions regarding registration or Driving Schools in general, please email the registrar using the "Contact Host" button on the right side of this page. Please continue through to the next page for more information about the event and requirements.